 The Community Foundation is versatile in the gifts accepted and the types of funds that can be established with these gifts. Donors can contribute almost anything of tangible value-cash, securities, real estate, jewelry, art, life insurance policies, etc. Gifts are subject to compliance with the gift acceptance policies of the Community Foundation. These contributions can be used to establish a new fund or to augment an existing fund. Descriptions of gift contributions are provided below. Learn how to establish a named fund. Use the Donate Now button at the top of our website for a fast, easy method to give via credit card. The button will take you to a secure page hosted by “Network for Good.” You’ll be able to select a fund to give memorial contribution, and to let us know whom the gift is in memory of. For some new funds, you may have to select “Other” and specify a name, or just provide the name of the person in whose memory the gift is being made. For more information, please contact the CFGC office. Appreciated securities (stocks or bonds) with a current market value higher than the original purchase price, and owned for at least one year, may be contributed to the Community Foundation. Closely held securities are stocks or bonds that are not traded publicly and are held by a small group, often a family. Undeveloped land titles, buildings, residential property, and commercial sites are attractive assets for charitable giving. You can contribute a piece of real estate, or a partial interest in a piece of real estate to the Community Foundation. Personal property is any item of tangible value, such as jewelry, art, furniture or automobiles. A donor can name the Community Foundation as the owner and beneficiary of a life insurance policy. Charitable Remainder Trusts are used to take an immediate tax deduction and guarantee a retirement income while making a significant charitable gift. With this type of trust, you create an endowment fund at the Community Foundation that receives the trust income for a fixed term. When the trust expires, the income may be distributed to you or other beneficiaries you have named and your established fund will continue to benefit the community. Large individual retirement plan asset accounts (IRA) at death may pay up to 70% in income and estate taxes. Many donors choose to donate all or part of their retirement plan to the Community Foundation to set up a donor-advised fund, naming their children as the advisors. This arrangement allows children to participate in distributing a larger pool of charitable funds than would have been available if the money had been left to them outright. A bequest is the most common form of planned giving. By including a charitable contribution in your will, you are able to make a gift that is simple, and in many cases larger than you could make during your lifetime. The bequest can take the form of a specific item (such as a home) or a specific amount of money, or may serve as a “residual bequest,” where the remainder of a donor’s assets become a gift after all other specific bequests have been paid out. These are some of many gift contributions you may choose to help get you started in meeting your philanthropic goals. For assistance in determining what options best serve your individual interests, please contact the Community Foundation or your professional advisor. The information provided here is for general informational purposes only. The Community Foundation of Greene County, PA, strongly encourages you to seek counsel from a qualified legal, accounting, and/or financial advisor prior to implementing these concepts into your personal gift planning and/or philanthropic activity. For more information, please contact the Community Foundation. To determine the method, or mix of methods, that make the most sense for structuring a gift through The Community Foundation of Greene County, this information should be reviewed with a competent financial, tax or estate planner. The Community Foundation of Greene County does not actively seek donations from outside of Pennsylvania. All information on this website related to seeking donations to The Community Foundation of Greene County is void where prohibited by law. The Community Foundation of Greene County develops, manages and distributes funds for charitable purposes in the community. The official registration and financial information of The Community Foundation of Greene County may be obtained from the Pennsylvania Department of State by calling toll-free, within Pennsylvania, 1-800-732-0999. FLORIDA CHARITABLE REGISTRATION #CH54865. A COPY OF THE OFFICIAL REGISTRATION AND FINANCIAL INFORMATION MAY BE OBTAINED FROM THE DIVISION OF CONSUMER SERVICES BY CALLING TOLL-FREE (800-435-7352) WITHIN THE STATE. REGISTRATION DOES NOT IMPLY ENDORSEMENT, APPROVAL OR RECOMMENDATION BY THE STATE.